Thomas Pileby, Chairman, 30+ years of experience in industrial operations world wide. 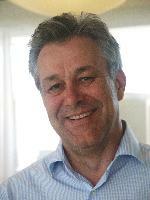 Thomas Lundeberg, Scientific advisor, Med. Dr. docent, senior consultant, associate professor and inventor. Prior professor, researcher, scientist with more than 300 publications. A number of patented inventions within medical technologies that has revolutionized in their areas of use, such as micro organism suppressing surface treatment on catheters. Basic ideas to two listed companies.